Bosse & Baum is pleased to present Catherine Parsonage’s first solo exhibition at the gallery. 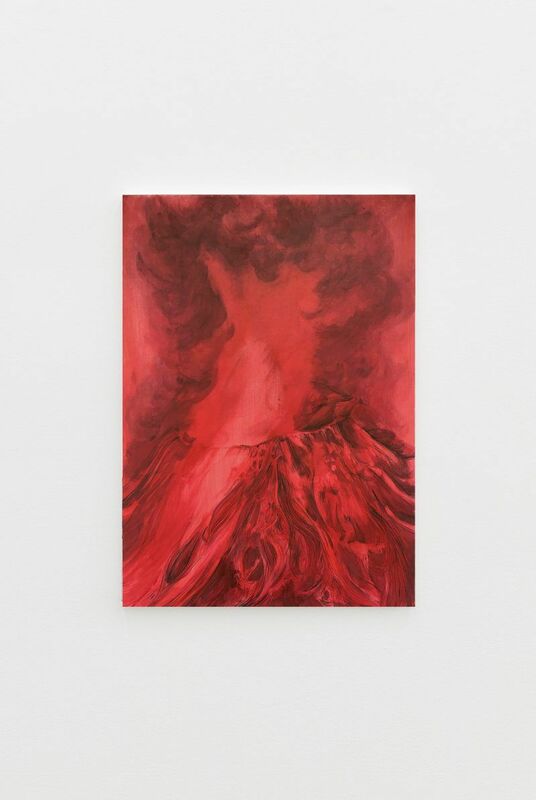 Bosse & Baum is pleased to present Catherine Parsonage’s first solo exhibition at the gallery. The title of the exhibition, Convivium, finds its origin in the ancient Greek Symposium. In its original form a symposium took place in a specially devoted room called an andron. The symposiasts – always reclined, would ritualistically drink wine from shared, stemmed cups (kylix), placed within arm’s reach from their comfortable positions of repose. The exchange of words and poetry was an intrinsic part of their hedonistic pursuit of pleasure. The symposium is reinterpreted on this occasion as a late-night bar a hazy, anachronistic and bathetic space where a mixed cast of characters find comfort in each other’s company. These bestial symposiasts pursue a certain kind of intensity, one that is spurred on by slivers of prose, breathless meter and bar stool chatter. At a first glance, the images in Parsonage’s paintings might seem somewhat incongruous; a bloated frog with a glazed expression named Alice; a volcano cast in alizarin hues, emitting hot lava and toxic fumes; a crowd of drinkers with gangly limbs painted in an acrid rose palette, not dissimilar to a flock of flamingoes. The fil rouge that connects all these works – be it present or alluded to through metaphor – is the body, in a continuous state of liquid flux; ebullient and sweaty, nauseous and curled, feverish and bestial. The works presented in this exhibition are nourished by a number of influences, which range from ancient mythological forms to modern poetry. This complicit relationship between literary and visual modes of representation is central to Parsonage’s practice; both words and images have the power to elicit evocative imagery and tap into complex emotional states. In order to further explore this idea, Parsonage will present a personal collection of books and poems that have played a key role in the development of this show, and – in the true spirit of a symposium – will be curating a series of readings and workshops in the gallery space, hosted by writers and poets.